At a loss for what to serve with dinner tonight? 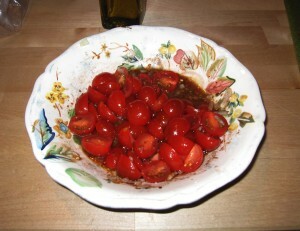 simply place tomatoes in a medium size bowl, add ingredients and mix it around a bit. Have a go-to, fast and healthy recipe? Share it with us below!